Like Beaird, Korby Microphones are based in Nashville and produce incredible, vintage-inspired, boutique microphones, with a modern touch. The KAT tube condenser microphone features the ability to have switchable capsules, allowing you to have several microphone options, all using the same body. The capsules are even hot swappable, so you can change capsules without powering down the tubes. 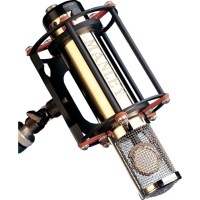 At Beaird, they use both the 47 and 251 capsules, which faithfully mimic the legendary Neumann U47 and Telefunken 251. Also available are the C12 and 67, which emulate the characteristics of the AKG C12 and Neumann U67. While a good majority of the gear used at Beaird is extremely versatile, and “down the middle” as far as sound is concerned, the Korby KAT is one of their specialty pieces, and is used primarily on vocals, fiddle, and other string instruments. The engineers and musicians at Beaird Studios pull long days. While most studios spend hours getting sounds, by 10 a.m., the pros at Beaird are tracking. Long days in the studio require comfortable headphones, with enough isolation for recording, but not too much, where you can’t hear a little room sound, or the other musicians between takes. 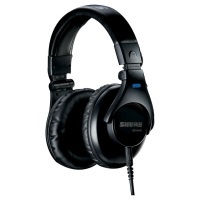 The Shure SRH440 headphones combine comfort and clarity for an optimal studio headphone solution. Studio headphones can take a beating, so the ability to replace the ear pads and cord are extremely handy, and often, save you from having to purchase a whole new set of cans. The enhanced frequency response gives you the ability to create an inspiring headphone mix, so you can capture an equally inspiring performance. To facilitate the speed, and quality of the recording session at Beaird, the engineers rely on time-tested, reliable, and versatile gear. 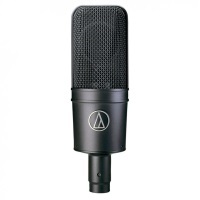 The Audio-Technica 4033 large-diaphragm condenser microphone is their go-to choice on everything from acoustic guitars, to vocals, and strings. No matter the style, the AT 4033 faithfully captures a variety of sources, while providing a presence and clarity to help it sit well in your mix. While tracking, the included shock mount and floating capsule design minimize vibration and noise, and the cardioid polar pattern and 80hz low frequency roll-off help to ensure that the most present sound recorded is the one directly addressing the microphone. All of which are extremely useful at Beaird, where just about everything is recorded live. When nothing else will do, when perfection and clarity are of paramount importance, the Beaird engineers reach for the Manley Gold Reference microphone. When they’re recording a special acoustic guitar, or a truly unique vocalist, and need to capture every nuance and all the dynamics of the performance, the Manley Gold Reference tube condenser microphone couldn’t be more suited for the task. It features all-tube electronics and its stainless-steel grille is more open than most microphones, which allows more of the extreme high and low frequencies to pass through. Though this definitely fits into the “specialty” category at Beaird, it’s three selectable polar patterns (figure-8, omni, and cardioid), and 10-dB pad allow for use on any number of sources. For all the warmth, and presence you could ever need, you’ll find several Universal Audio 6176 channel strips at Beaird Studios. The 6176 combines two legendary pieces of gear into one incredible box. On the front end, the 610 microphone/instrument preamplifier produces big, warm, analog tube sound with plenty of gain that you won’t find in any of today’s digital interfaces. The 610 side also includes a powerful and classic sounding EQ and Hi-Z input on the front face. The 1176 compressor side, which can be used separately, in split mode, or in conjunction with the preamp in join mode, offers one of the most well known and widely used compressors ever built. At Beaird Studios, they’ll use this on everything from vocals to bass, and is a favorite on drums.